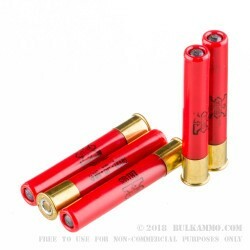 A 3-inch load of 000 Buckshot that is a perfect .410 loadout for deer hunting or home defense and can be used for either without any modification in 3” shotgun chambers. 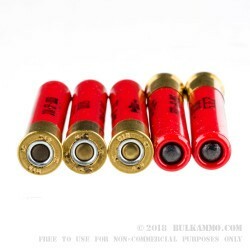 The large 5 pellet 000 Buck shot payload is substantial and offers a stacked profile and a simple spread that is generally quite effective at dropping its intended target with a close pattern of wound channels and a substantial amount of energy delivered on target in the form of the 5 separate entry wounds. 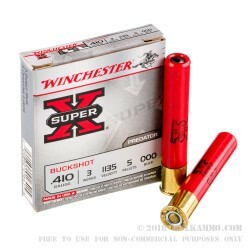 The Super-X line of shotshells has been one of the best selling lines ever in the American market and the reputation of the brand and the line precedes it. It is known for high quality, high-reliability shotshells that offer above average accuracy and impeccable build quality. While the rounds are not the bargain basement in a pricing perspective, they offer a competitive cost basis and offer, generally, substantially improved performance over bargain shotshells. 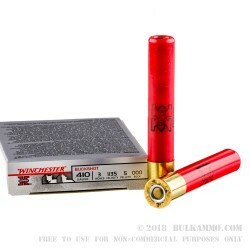 A 1135 feet per second muzzle velocity and a heavy delivery of energy on target makes this a suitable round for legitimate hunting endeavors on moderately sized game or for use in a self defense scenario out of the .410.